People do all kinds of absurd stuff while driving, including but not limited to: eating, texting, reading books and apparently even playing the guitar. Ever since Pokemon GO came out, people have also been trying to catch Pidgeys and Zubats while driving, because you can never have enough Pidgeys and Zubats. They have crashed into schools, and even killed people. It got so bad that Nintendo put out an announcement telling people to be responsible and not to do it. The research on using mobile devices while piloting five ton death traps is pretty clear cut. And yet we persist. A new study published late last week at JAMA Internal Medicine shows the practice of playing Pokemon GO while driving is even more prevalent than you might think. Motor vehicle crashes are the leading cause of death among 16- to 24-year-olds, whom the game targets.1Moreover, according to the American Automobile Association, 59% of all crashes among young drivers involve distractions within 6 seconds of the accident.2 We report on an assessment of drivers and pedestrians distracted by Pokemon GO and crashes potentially caused by Pokemon GO by mining social and news media reports. According to the study's results, "Thirty-three per cent (95% CI, 31%-34%) of tweets indicated that a driver, passenger, or pedestrian was distracted by Pokemon GO, suggesting there were 113 993 (95% CI, 107 084-117 447) total incidences reported on Twitter in just 10 days." During that time there were apparently 14 different car crashes that involved playing Pokemon GO, with one player driving his car into a tree. You can parse the full study for yourself here. You've probably done it, yes. You probably got a good result because of it, yes. You know what happens next. The papers or the tv news will run with it and before you know it we'll all be targeted the same way they target anything to do with games. "They're not just lazy and time-wasters, NOW THEY COULD KILL PEOPLE." Driven around 'playing' this game. Drive to gym, stop, take over, repeat. If a passenger reports an awesome spawn, pull over, grab phone and attempt to catch. If you are playing while actively driving, you are an idiot. The study appears to take a lot of liberties and make assumptions about contributing causes to distractions - it assumes all passengers playing Pokemon Go distract drivers with requests related to the game for instance, and that these requests can't be safely dealt with. I'd be interested to see this result of this study compared with the frequency of other more mundane sources of distraction to drivers - billboards, mascots dancing on the sides of roads, trying to read poorly thought out road signage, smoking, communications devices and so on. Not arguing that playing pokemon go while actually being the driver of a vehicle isn't a stupid and dangerous thing to do. There's no question on that. I'm just concerned that the study is lumping all potential sources of distraction from augmented reality games as dangerous, when it appears that the majority is no more dangerous than any other source of distraction. I leave it running, but on power saving mode. Five ton death trap? What, are we all driving trucks around now? Anything over 4,500kg Gross Vehicle Mass is a Heavy Vehicle. Make it more like a 2 ton death trap and you'd be closer. That said the study if done as described sounds pretty BS. Just searching mentions for pokemon and driving could turn up anything and even multiple references to the same incident. must have seen a dozen cars driving loops around olympic park on the weekend, stopping and going for the most part. 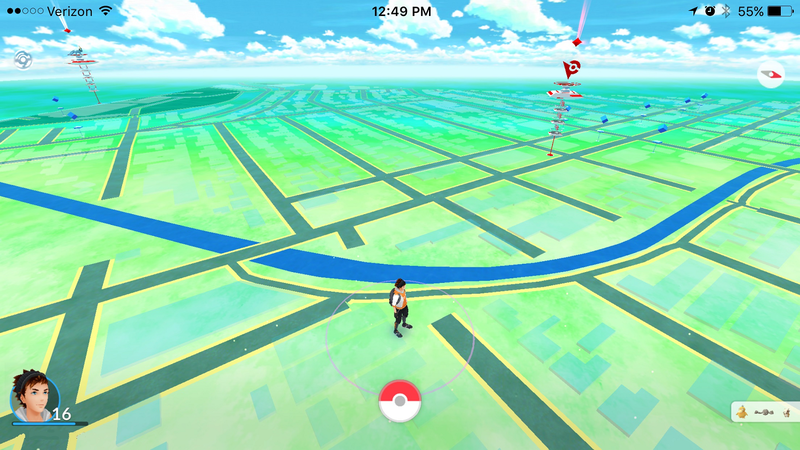 you can walk laps around Cathy Freeman park and hit 16 pokestops in one lap. The article alludes to the fact that lots of people love to play pokemon Go whilst physically driving and they now have a study to prove it. The actual data provided (in this article) is a bit of a mess though, it states what the leading form of death in a certain age demographic is (car crashes), which also happens to be the same age demographic that Pokémon Go targets. It then jumps to a percentage of the total crashes (fatal and non fatal), that were caused by "distractions" with no specificity on what the distraction was. Finally it states that 33% of the tweets/news articles it captured (a highly unreliable snapshot from social media (what if 100 tweets were about the same incident)) showed that people (drivers, passengers, or pedestrians) involved in incidents were playing Pokémon Go. It doesn't even brake up what percentage of the 33% of tweets were drivers ACTUALLY driving? So what I am supposed to take from this, is that anything from 0.1% to 32.9% out of 33% of the total tweets and news articles captured (with no way of knowing age demographic or if multiple tweets/news stories were about a single incident) might have been driving whilst playing Pokémon Go. And because Pokémon go targets a certain age demographic, the SAME age demographic that lists car crashes as it's leading form of death, that this constitutes as evidence that playing Pokémon Go whilst driving is "more prevalent than you might think"? so wait there s study that lasted less then a year? i DONT think so, this is fake AF.